I am about to start the last day of Austin Psych Fest 2013 and I have a lot to say about that, but I would be remiss if I didn’t talk about the show I saw on April 20 at the Swan Dive by Boston bands Jaggery and Walter Sickert and the Army of Broken Toys — one of the most psychedelic shows I’ve seen in a long time. It was an amazing show. My only regret is that there were not more people there to see it. It was even better live. Very unique group. Visit their website and Bandcamp page. Buy some of their music and see them if you ever get a chance. Jaggery (appropriately named after Indian brown sugar) features Mali, a wonderful singer and pianist with incredible power and range (she kind of reminds me of a less scary Diamanda Galas), harp, viola and string bass. Their music was powerful and dramatic. reminiscent of acts like Rasputina and the Dresden Dolls. Some of it is incredibly beautiful. One song which seemed to be about witchcraft, got kind of screamy (hence the nod to Galas), but it I found it really moving and chill-inducing. Mali joked that it probably scared the country bumpkins in Victoria when they gave a free show earlier. She took back the part about bumpkins, but she was probably right. I grew up in that area and kinda was a bumpkin at one time. It’s good for folks around there to experience something strange and different once in a while. Check out Jaggery’s website and Bandcamp page. Buy some of their tunes if you feel so inclined and definitely catch them live if you can. I have seldom looked forward to a music festival as much as I am Psych Fest 2013, set for April 26-28 in Austin. As is usually the case, I will probably come back raving about some obscure bands I never heard of before. It’s a great place to discover new faves. This year, however, I’m very excited to see The Black Angels, the guys who put on the festival, even though they play Sunday and I will be so tired the next day. The reason is their latest album, Indigo Meadow. I like it much better than Phosphene Dream, the 2010 album everyone raved about. Usually when I review an album, I try to pick out the influences. Byrds, Doors, Jefferson Airplane, 13th Floor Elevators? All those influences are there and more, I’m certain. These guys are so passionate about psychedelic music that they started a festival and a music label (Reverbation Appreciation Society) to celebrate it. I don’t much care though. This album is so good, I just don’t feel like picking it apart. I would much rather just sit back and enjoy the music. The tunes and propulsive rhythms make the songs irresistible. I am especially nuts about the title track and “Don’t Play With Guns,” but I enjoy the entire album immensely. It’s in constant rotation on my car stereo and on the laptop. I get the feeling that with this release, the band has become so at home in this genre that it is now just effortlessly making songs. It doesn’t sound like someone making neo-psych music, it sounds like a collection of great songs. 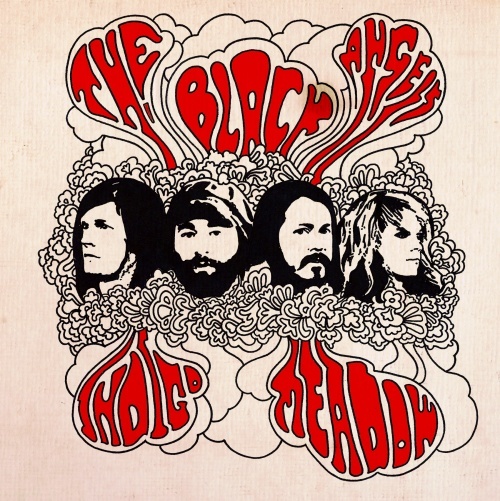 I feel like the Black Angels capture that period where ’60s psych music quit being about peace & love and began to turn dark. I’ve been a Sigur Ros fan for over a decade. Their 1999 album Ágætis byrjun was my introduction to postrock. They really opened my mind to what can be accomplished using the human voice as an instrument. I find their music mesmerizing and variously melancholy or uplifting. I love getting caught up in their soundscapes. I finally got a chance to see them at the Cedar Park Center on April 10. As great as their music is, I couldn’t imagine how they would pull it off live. I’ve been told they put on a great show, but I had to see it for myself. I was especially surprised at how much they rocked. Powerful crescendos set off by their amazing lighting and projections. They started out playing behind something called a scrim – a screen that looked a bit like gauze to me. The lighting effects – especially in the beginning – made it resemble an aquarium, with deep shades of green, threaded with other colors and textures. You could see them playing through it, but the lighting cast huge shadows of the band on it from behind, making the band members look like giants. One image of Jónsi Birgisson bowing his guitar in silhouette was quite striking. At one point the stage went dark, except for a scattering of tiny gold stars. Beautiful. Whoever handled their lighting was brilliant. Because they sing in Icelandic (or is it Hopelandic? ), I don’t always remember the names of the songs, but I know them when I hear them. I recognized several from Ágætis byrjun, ( ), and other albums. Their performance of “Brennisteinn,” from their upcoming album Kveikur really blew me away. The seating in Cedar Park Center was a bit cramped for my taste, but the music was so good I didn’t really notice. Kudos to my girlfriend Melissa for getting the tickets and snapping a few photos of the show. I have to put in a word for the opening act, Oneohtrix Point Never, aka Brooklyn-based musician Daniel Lopatin. He plays vintage synthesizers and creates some interesting textures and soundscapes. I read something that referred to his music as “gnomecore.” No idea what that could mean, but I found myself on the verge of getting carried away in several of his pieces. Some made me think of dark ambient or glitch pop. Some made me think it was like what people in the ’80s thought the future might sound like. The kind of music you might hear in a night club scene in a 1980’s sci fi movie. I only wish I could have heard him in a more intimate setting. People were still filing in late for Sigur Ros and it was distracting.